No collection is too large! We make house calls anywhere in the United States. 12-inch singles: 12″ singles are the same size as LPs, but have only one song on each side. These were made for DJ’s and often came in plain or generic sleeves. Why Sell Your Vinyl to DJ Records USA? 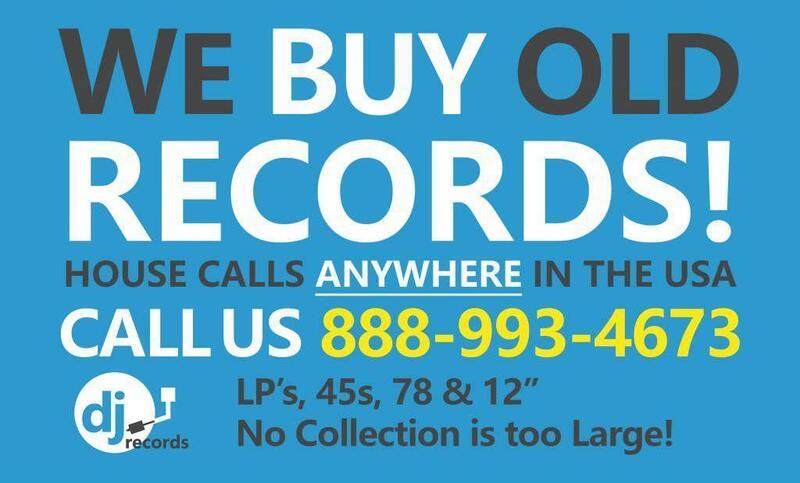 With over 15 years in the business of buying used vinyl records, DJ Records USA has built a solid reputation of integrity and fairness. Our best advertising has always been word of mouth from satisfied customers, as evidenced by our A+ rating with the Better Business Bureau. Contacted DJ USA to have a buyer come to my home and go through my vinyl records. Scott from DJ USA called me to informed me that their buyer Ron was scheduled to go through my records. Upon arriving I soon discovered that not only was Ron very nice and personable he was also very knowledgeble concerning the market and what sells. I was given a fair price for my vinyl records. I would definitely recommend anyone who has vinyl records to sell - to call DJ USA!!! Just wanted to send a note to say I was very satisfied with your rep Ron when he visited our home. He was very polite and very fast. Thanks again!